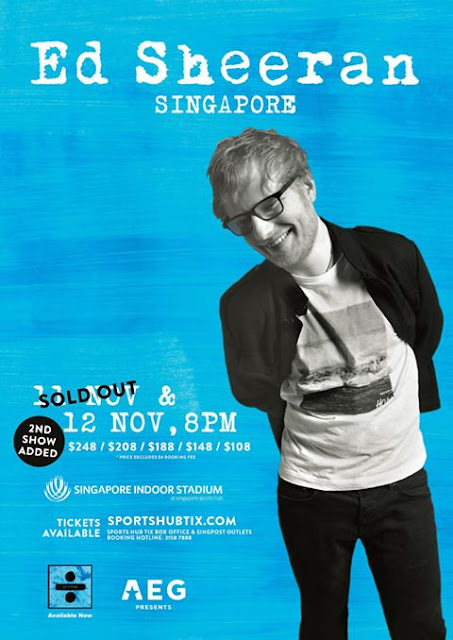 Home / concert / ed sheeran / music / news / sold out / tour / Ed Sheeran’s Singapore show sold out, add second show – sold out too! 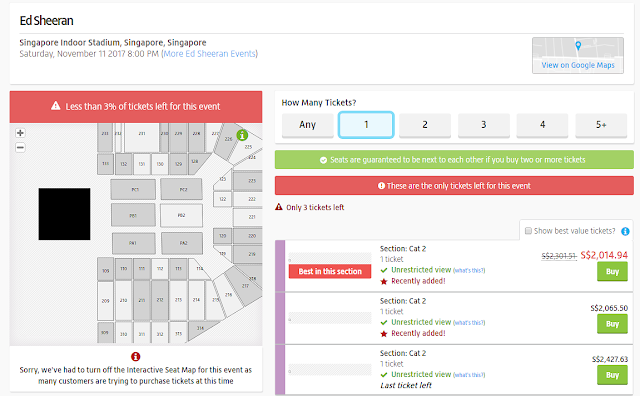 Ed Sheeran’s Singapore show sold out, add second show – sold out too! Tickets to Ed Sheeran’s upcoming concert in Singapore on 11 November 2017 had already sold out within 40 minutes after it had gone on sale on sportshub.com.sg. Similar to what happened before with Coldplay’s show in Singapore, many have already expected this outcome. Therefore, due to the overwhelming demand, Organisers AEG Presents Asia has immediately added a second show on 12 November which went on sale yesterday around 11am. However, those tickets too, were sold out as well by 1pm, Today reports. 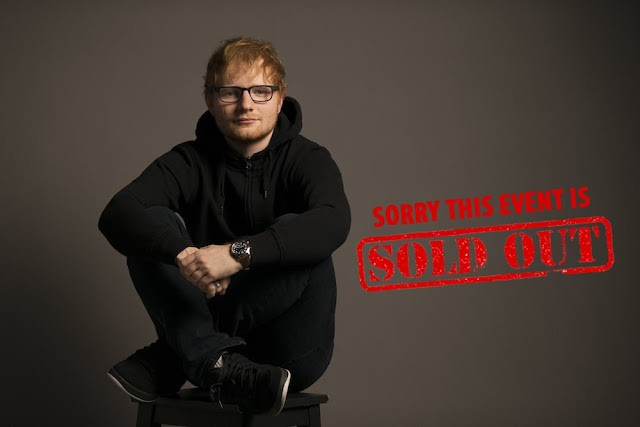 Many diehard fans of Ed Sheeran were disappointed with the way the tickets were sold, and also the way AEG announced the second show, as some were not even aware of it until much later. 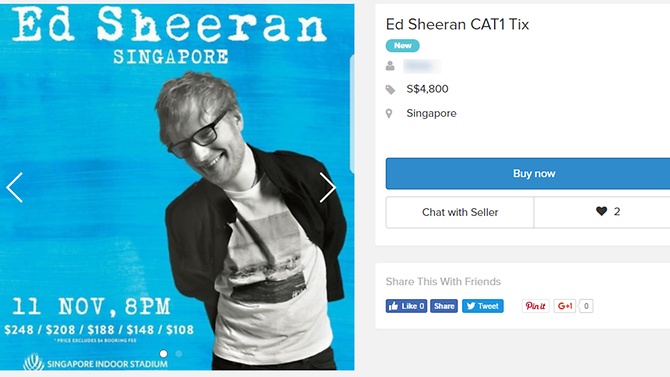 Given the demand, tickets for Sheeran's first show are now being sold on third party sites like Carousell and Viagogo for almost 10 times the original price.